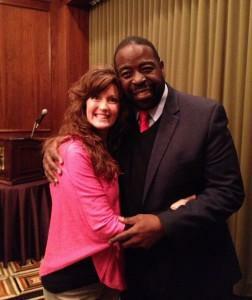 Les Brown has been one of my favorite speakers since the very first time I heard him speak on stage. I sat on the edge of my seat, tears flowing down my cheeks as he spoke, hanging on to every word that he said. Who was this guy? How did he have the courage to stand up and tell everyone that he had been labeled the ‘dumb twin’ in his past? How was he able to make us feel so much for him while he was so cool and collected? He had accomplished what he set out to do, which was leave us wanting more. I didn’t mind, I always love a good story and he was someone I could definitely relate to. I became a fan instantly. Fast forward five years…I received a call on Thanksgiving weekend asking if I would be interested in attending a small, personal training session by Les Brown himself. I was ecstatic, elated, over the moon excited! I had been writing down my goals for the new year and public speaking was on my list of things to accomplish. The only catch was the event would be held in two weeks and it was almost two thousand miles away. I knew I had greatness within me and I had to make it work! The room was small and set up conference style with long tables and chairs. Les walks in, takes one look around and promptly asks that the long tables be removed and round tables be brought in. He informs us that we are there to be stretched and moved out of our comfort zone and to expect the unexpected. While waiting for the tables to be changed out he asked us to find someone we don’t know and learn their life story…we will be sharing it later. Here are some lessons I learned from Les Brown about how to be great. # 1 Speak in a way that people feel you. This was something that he stressed from the very beginning. Everyone can tell a story. The great ones can captivate the audience by sharing something their audience can relate to. They share their passion and their purpose with feeling. Do what you have to do to have a meaningful life. We are all given the same 86,400 seconds in a day. Use your time wisely. Have hobbies, work out, do what you can to make yourself more interesting. We were not meant to live a boring life, we were meant to thrive in life. # 3 Share a quote. People love familiarity. By using quotes people immediately feel a connection to you. To feel comfortable, use the quote five to ten times in a conversation before you have to use them in a presentation. “I heard somewhere” is a great line to use before a quote if you want to use it but can’t remember who to give credit. # 4 Ask a questions. People want to be involved and know where you are going in your presentation. Asking questions is a great way to get people to engage and feel the energy of the room. The best speakers are strategic and make the fewest words go the furthest. When you know what you can say in 60 seconds you have the advantage over those that don’t. Use that advantage in your favor. Everyone has early programming that they have to deal with. Most people have negative programming that they have to overcome. Affirmations are an easy way to start the process of becoming great. # 7 Listen, listen, listen. The best story tellers are the best listeners. Most people listen with the intent to respond. Don’t be that person. Ask questions and listen. By helping others we are able to receive. You have an energy signature. When you walk into a room or onto a stage, people can feel your presence. They feel the energy you bring with you. This is the time to speak with passion and conviction. Use affirmations to give yourself a boost before giving a presentation. # 9 Have a mentor. Practice makes perfect. Every great speaker had a coach or a mentor to help them. Most people like to stay in their comfort zone. By working with a mentor, people are willing to do more. Most people will do for others more than they will do for themselves. # 10 Become a good note taker. There was always plenty of paper and pens on the table and note taking was encouraged. It’s always good to listen and be present, it’s even better to be present and take notes so that you can review them later. I took 29 pages of notes for this 16-hour seminar. I have so many good nuggets to share with others. # 11 Be true to yourself. 3 things you can do to differentiate you from other speakers. Make the story relevant to the audience. Create bridges so that it brings the audience in so that the story becomes their story too. Have takeaways or building points for the audience to connect to. I felt so much emotion behind the words that he shared. These statements will live with me forever. Sometimes in life when someone has gone through much adversity, they are able to speak from a place that not many have gone. Les Brown has taken his misfortunes and made the best of them. He is able to say things in a way I had never heard before. All the while with a smile on his face, a quick laugh and an open heart. You can tell he is passionate about helping others. You can find out more about Les here. Les Brown is a great speaker. 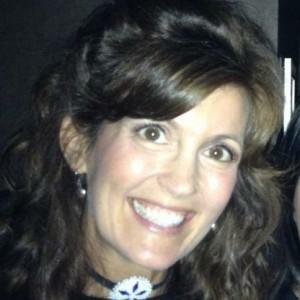 Thank you for sharing the tips you learned from him Kathy. I wanted to add a tip I have learned over the years, and that is when you really want to stress something, pause for a little longer than normal, and then repeat what you just said and keep moving. This is a subconscious trick that works…. Yes, a subconscious trick that works, and I have discovered that people will remember that line for years to come. Try it sometime. The results are phenomenal. I used to use it in my telemarketing job many years ago.